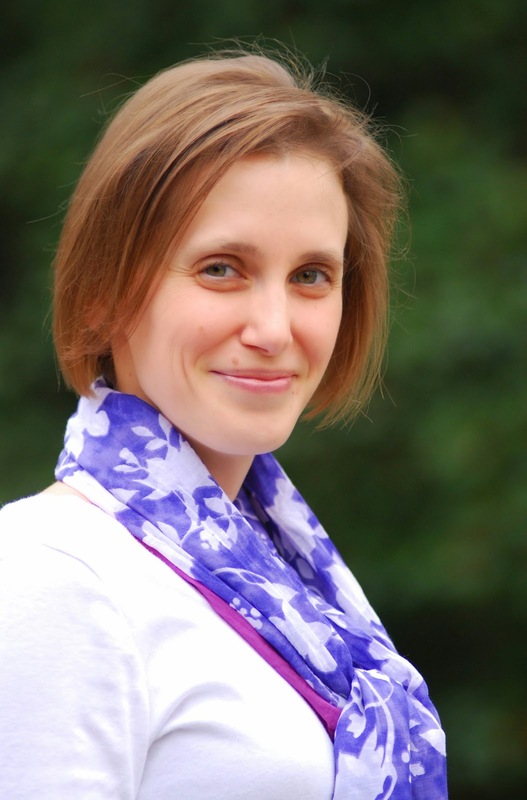 Introducing Jocelyn Rish: SCBWI WIP Grant Winner! Congratulations to Susan Light, a librarian at Christianburg High School in Virginia. 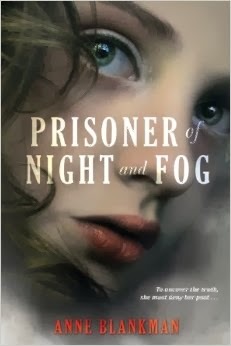 She was randomly selected out of 20 participants (a record for my blog) and won the ARC of A Prisoner of Night and Fog. Thanks to all of you who tweeted and shared this giveaway and welcome to seven new followers. More giveaways to come later this year! When I read in the SCBWI Bulletin that a fellow Carolinas member had won the WIP Grant for a Contemporary Novel for Young People I shot her an email begging her to share her experiences. She happily obliged. Without out further ado, here is Jocelyn! computer that is making her writing life much easier. First, if anyone wants to read about my reaction when I found out I won, it’s here. I encourage everyone to apply for the grant. The application is relatively painless, so even if you don’t think you have a chance (and I really, really didn’t think I did) you should go for it. Unexpectedly wonderful things might happen for you, too! Tell us about your WIP. Give me your pitch! How long have you been working on it, what inspired you to write it. THE DRAMA QUEEN WHO CRIED WOLF was my 2007 NaNoWriMo novel and was inspired by my 18th birthday party. My three best friends and I had birthdays within days of each other, so we had a huge video scavenger hunt party, for which my dad made up crazy and embarrassing tasks for us to film. I wanted to capture that experience on the page but knew there needed to be higher stakes, so I framed a murder mystery around it. Then I put the novel in a drawer for several years while I worked on my short films, but I pulled it back out for major revisions about a year ago. Here’s the latest pitch I’ve been toying around with: Sixteen-year-old Breanna loves horror movies and mysteries, but, unfortunately, her overactive imagination turns every situation into a big-screen thriller starring Brea. Since no one believes her when she discovers a body that disappears, it’s up to her to suit up CSI-style in yellow kitchen gloves and solve the murder herself. 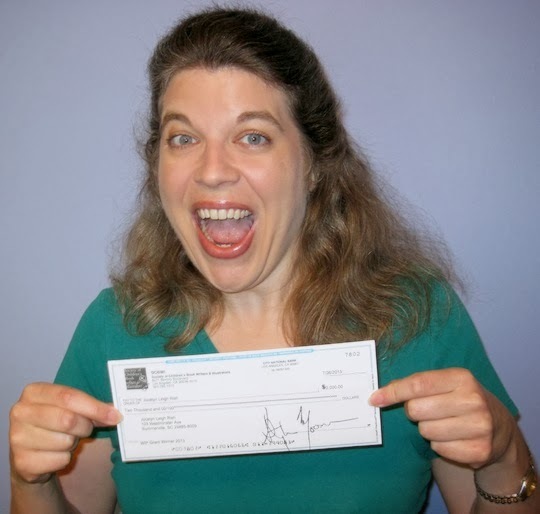 Had you entered the SCBWI WIP grant contest before? If so, what did you do differently this time? I’d entered with this same novel at least two times before, however, this time I really dug deep with understanding the feedback I’d received from readers and applying that insight into my rewrite. It mostly had to do with deepening the characterization of the MC and making her more sympathetic, as well as streamlining the pacing. Who read your submission before you sent it? What advice did they offer? Do you think that helped you? I didn’t ask anyone to read my application before I sent it, but over the years the first chapter has been read by many people: at conferences, workshops, critiques from authors via online contests, critique partners, family and friends. Really at this point it’s more like who hasn’t read the first chapter? I kept getting feedback that the inner monologue of my MC was really funny, but it was slowing down the pace. It took me a while before I really heard it and was able to kill so many of my darlings. I loved the humor, so it was hard to cut much of it to really focus on the pace and creepiness of the first chapter, but I’m sure finally getting to that point made all the difference. What tips would you give this year's applicants? For writing in general: find knowledgeable critique partners and really think about and absorb their feedback. You don’t have to take all their advice, but burrow into the root of what they say isn’t working and figure out how to fix it while maintaining your vision and voice. Specifically for the application: keep the Bio and Plans for Grant Money sections short and sweet. In my earlier applications, I wrote a lot feeling like I needed to sell myself and justify what I’d do with the money, but this last time I kept it snappy – just the facts with a little bit of humor. I don’t know if that affected the outcome or if it was just the changes to my first chapter, but I did want to mention that difference from my earlier applications compared to the successful one. What did you learn in the process of creating your submission? I’m not really sure, but I will say, having been rejected in the past, I was a lot less stressed when I put together my packet this year. I don’t want to imply I slapped it together because that’s not true, but I didn’t freak out over every.single.word like I’ve done in the past. So maybe being more relaxed allowed my best work to shine. You mentioned querying as your next step - I assume your ms. is now complete? Since winning the grant, my manuscript has been through a major tear-down-build-back-up revision, and then another minor revision based on feedback from several amazing CP's [critique partners]. So I finally took the plunge and started querying. It was a terrifying step but one we all have to take if we want to find the right home for our novels. All my fingers and toes are crossed tight hoping for a positive outcome. Thanks Jocelyn, for your encouraging story! I have applied at least twice, but based on Jocelyn's advise I plan to give it another try. I have found that the process of applying for the grant strengthens my work. Note: If you live in the Carolinas, the deadline for the Carolinas Writing Contest is February 28, so get going! As promised, here is a behind-the-scenes conversation with Anne Blankman, including advice to new novelists and a second chance to win the ARC of Prisoner of Night and Fog. Congratulations to Leanne Ross, who won last week's giveaway through Talking Story. Carol: Your characters are so deep and were very real to me as I read your book. What helped you in the process of character development? Anne: Thanks! My process was very different from that of many fiction writers--the majority of my characters were real people, so I did a huge amount of research rather than a ton of brainstorming. I read everything I could get my hands on--biographies, memoirs, psychological profiles, you name it. I studied Hitler's autobiography, Mein Kampf, and his early speeches. Understanding his thoughts and his methods for presenting them was vital. Primary sources, such as old maps and photographs, helped me envision the setting. I also watched Nazi-era propaganda films, such as "Triumph of the Will." Hitler was the hardest character for me to write. It would have been very easy to turn him into a caricature--a one-dimensional villain, gloating malevolently and rubbing his hands with glee. I felt a tremendous responsibility to present him as accurately as possible, not only because he was a real person but out of respect for his millions of victims. The more I learned about him, though, the more I realized how complicated and multi-faceted he was. In fact, the major Hitler biographers present different versions of him. According to some, he was a misguided monster who truly believed genocide was the best solution to solve the world's problems; in others' opinions, he was a fraud who didn't even hate the Jews but used anti-Semitic rhetoric as a platform to launch him into power. I knew if I wanted to flesh out Hitler into a fully realized character, I needed to draw my own conclusions about him. I read the biographies by Ian Kershaw, Alan Bullock, John Toland, Joachim Fest, and Hugh Trevor-Roper and other important works such as EXPLAINING HITLER by Ron Rosenbaum and what many consider to be the definitive book on Hitler's psychology, HITLER: DIAGNOSIS OFA DESTRUCTIVE PROPHET by Fritz Redlich. Carol: I was impressed with how you wove your backstory in, even as the story pushed forward. I think that is a problem many new novelists have. Was that challenging to do? How did you know where to begin the book? Anne: At first, I didn't know where to start the book! As writers, we always hear that old chestnut about starting in the middle of the action, so that's what I did--originally, the story opens when Gretchen is waiting to meet with a mysterious Jewish reporter who claims to have information about her father's death. Perfect, I thought. An exciting and intriguing opening scene--what's not to love? The answer is, a lot! :) Happily for me, that original version snagged both my dream agent and a fabulous three-book deal. When I got my first edits, though, I realized how many problems there were in my opening scene. My editor explained, in her very sweet, tactful way, that starting the story after Gretchen has already begun questioning the Nazi Party felt like a missed opportunity. She suggested starting the story a little earlier so readers could get a sense of where Gretchen's coming from--what her beliefs are, what her daily life is like. It's tempting to start your story with your character's major problem, but ultimately that doesn't allow your readers to connect with your protagonist--they're too busy trying to catch up with the plot! Rather than beginning with your story's big obstacle, I suggest starting with something smaller--an inciting event that leads to the big obstacle. Carol: I’d love to more about the process of “assembling” this book. What was the genesis of the novel as well as some of the different stages in your thought process as you wove it together? How many drafts? What changes did you make in those drafts? What input did Tracey or your editor have in shaping the book? Anne: The idea to this story came to me a couple of years ago. I'd just had a baby and I knew I was going to be home a lot and I'd better start reading quality non-fiction so my brain didn't dissolve into sleep-deprived mush. I'd been fascinated by World War Two for years, so I picked up a book on Hitler and his beloved half-niece, Geli, by Ronald Hayman. After I finished reading it, I couldn't get Geli out of my head. What had her life been like, sharing Hitler's luxurious Munich apartment while he campaigned for the presidency? How had he treated her? What had she really believed? The lure of writing about a girl ensconced in the Nazis' hyper-masculine, violent world was irresistible. I needed the freedom of having a fictional main character, though, so Gretchen Müller was born. But how, I wondered, can Gretchen figure out what the Nazis really stand for? How can she break free? Once I had my answers, I started writing. I have no idea how many drafts I've written in total--they've blurred together, partly because I was a walking zombie new mom! I do remember that the first draft was 200 pages long. Seriously. All I did was get the story--the basic mechanics of the plot--on paper. Tracey Adams (who I met at at the mid-Atlantic SCBWI conference) loved the manuscript--I think she suggested one word change and then sent it on sub about three days after I signed with her--but my editor, Kristin Daly Rens, had lots of ideas. She's one of those wonderful editors who asks you questions that help you think about your story in new ways. She's a careful reader and constantly pushes me to dig deeper into the story and the characters. I'm incredibly fortunate to get to work with her. Carol: I can picture this as a movie. Is there any talk of this, or is that too soon? Anne: I'd love to see PRISONER made into a movie. Fingers crossed! Anne: I'm working on the sequel. Gretchen and Daniel are the main characters again, and it takes place right after Hitler's appointment to the chancellorship. Once again, it's full of murder, intrigue, romance and danger. I'm not allowed to tell more, not even the title! :) Ooh, I can give one hint though--readers should pay close attention to everything Hitler says to Gretchen in the first book. His advice becomes vitally important to her survival. 1. Leave me a comment by January 25, with your email address if you are new to this blog. 2. For an additional chance to win a copy, share this blog post on your favorite social media site. Let me know what you did. 3. If you are a new follower of my blog, I'll enter your name twice. 4. If you are a new follower and post to social media, your name goes in THREE times! Prisoner of Night and Fog--and a GIVEAWAY! If Goodreads allowed more than 5 stars for a review I’d give Anne Blankman's debut novel, Prisoner of Night and Fog, a 6. Blankman’s historical novel has it all: the underpinnings of extensive research, romance, mystery, beautiful language, rich characters, fast-pace and heart-pounding suspense, a terrific title and above all else—a great story. Can you tell I loved this book? Set in Munich, Germany in the early 1930's, this fictionalized account of the unlikely romance between Gretchen Muller, Adolf Hitler’s “pet” niece and Daniel Cohen, a handsome Jewish reporter, is a page-turner that will keep you awake at night. Out of nowhere, Daniel interrupts Gretchen’s “normal” with the information that her father’s death was not as a martyr as the Nazis have portrayed it. It was murder. When Gretchen sets out on a dangerous journey to discover the truth, her innocent reverence for Hitler (Uncle Dolf) is ripped away and she begins to see the evil underbelly of his schemes. I don’t want to spoil this book for you so I’ll just share two favorite passages, from among many. "She had recited the poem to Uncle Dolf as they sat in the parlor together last year, sipping apple-peel tea while the old ladies knitted, and he had smiled, for he loved the tale about the super-natural being who attacked a boy held in his father's arms as they rode on horseback through the night-darkened countryside. 'Father, do you not see the Alder king? Joyce Hostetter and I are giving away an ARC of Prisoner of Night and Fog in this issue of Talking Story. Click on the link and you’ll find directions (under "Giveaways") for how to enter. While you’re there, take a look around at the other resources we offer on the topic of Children and War. Next week Anne will share some of her secrets of how she wove together Prisoner of Night and Fog. I'll be giving away a second ARC courtesy of Tracey Adams at Adams Literary.